Plot; Sorrow is taking a walk when she stumbles upon Slow Flow River. Being a hot day, she decides to take a swim, will anyone join her? Who is king? ; Bolt is of course. I DON`T KNOW IF I CAN ACCEPT IT, AS THE KING IS COLOSSITH, BUT SINCE I WANT TO RP, ILL ACCEPT IT. Bolt is king and you know it. And yeah Lithium can join. Nova is invited I think correct? Sorrow padded through the trees, keeping her steps light, ears perked forward as she followed the sound of running water. It was rather hot out, and her throat was dry, and with Dean complaining about being thirsty every few moments, it pushed her to search for water. The sound grew louder until she emerged from the trees onto the shores of a large, slow flowing river. Sorrow moved faster, picking up the pace until she was at the waters edge, lapping up the refreshing water. Dean stumbled after her, accidentally tripping and falling into the water with sound of surprise then sudden distress as he couldn't catch his footing. Sorrow reached over and plucked him from the water, holding him by the scruff, and placed him down beside herself, shaking her head in faint amusement as he sat looking at her wide-eyed with a sheepish grin. The river could be dangerous to young animals, even with the slow moving water, so she would have to keep an eye on him. Sorrow padded into the water slowly until it brushed her belly fur, and then she let her footing go and started swimming, dunking down in the cool, refreshing water. Dean jumped into the water, now more prepared for the dive into the water, and swam with effort towards where Sorrow was half floating half-crouching, paws lightly touching the ground yet being lifted every few moments. The little cub climbed onto her back without a word, which made a light laugh escape her, and she swam around, giving the cub a ride. The Guardian looked up from his position on the shore of the river, his head turning to where a splash was heard. He had been laying down after patrolling listening to the river as he rested, but now he rose to his feet to see what the noise was. He padded to where he saw the source of the splash before as Sorrow and her companion Dean were swimming in the river. He smiled as he sat close to the edge of the river, watching the lady wolf give her cub a ride on her back.
" Looks like fun." he commented as he watched the two. Sorrow continued swimming around, making quick turns and splashing water upon Dean, making light, innocent laugher escape him and reach her ears, which made her smile faintly. 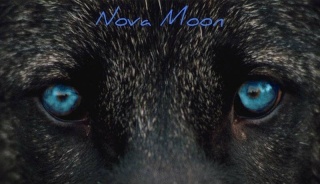 This continued on until a voice, slightly familiar, reached her ears and she came to a stop, ears slightly flattening against her head as she turned, startling blue eyes catching sight of the wolf who had spoken; Nova Moon. She smiled warmly, yet the smile didn't quite reach her eyes, though no one ever really noticed. Dean, grinning from ear to ear, responded to the comment before Sorrow could. "Yeah, it's real fun! Wanna join us?" Sorrow shot the young cub a look, letting her body sink lower into the water, making the young cub squeal as the water rushed over her back and onto him, coming up to his belly. She turned her gaze to Nova. "The water is quite nice." She commented rather simply, finding that she didn't have much else to say. Notes: It is 4 am so this post may be garbage. The grey female padded around the forest, letting her paws carry her somewhere. 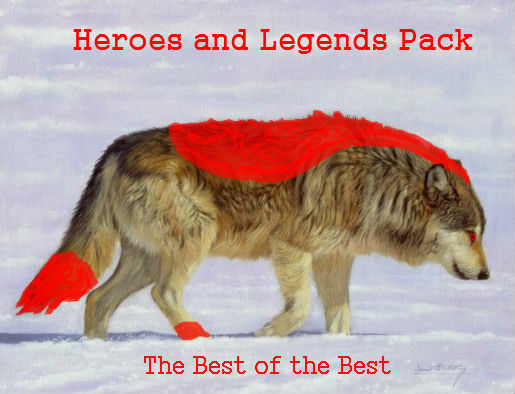 She wasn`t quite sure where, but she assumed somewhere far from her old pack. The smell was great and everything was beautiful. This place seemed perfect for her. Lithium gazed around walking slowly taking her time to see each single thing that was located around herself. A bird flew and landed infront of Lithium. "Hello little bird." She said chuckling a little. But the bird suddenly dissapeared out of nowhere. And that`s when Lithium realized, it was just an illusion. Lithium shook her head thinking she might turn crazy in no time, but she didn`t want that to happen. She wanted to stay and be normal. Quite simple right? 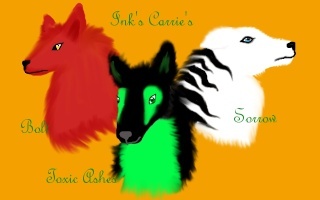 She shrugged fearing that other wolves might notice her being crazy. They will unfortunately laugh and Lithium couldn`t let that happen. "Why can`t I just be normal..." she mumbled to herself as she felt something wet touching her paws. Lithium screamed to death thinking she had been swallowed by a huge animal and was stuck in it`s belly, but when she look down, she realized it was only water. She felt relief for a moment, but her heart started beating quickly as she noticed two wolves around. One looking like a tiger and the other looking black and white. Her mouth was wide open. They were certainly going to laugh at her. She was dead. She thought as she was speechless.